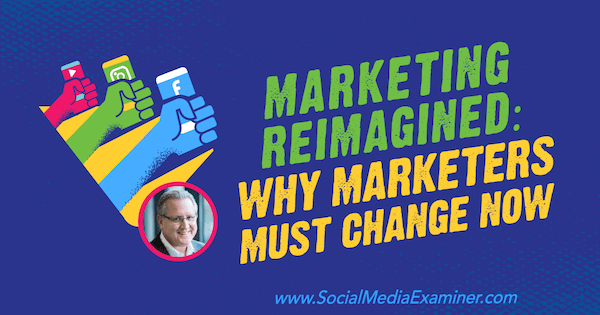 To explore how marketing has shifted recently, I interview social media strategist Mark Schaefer. Mark co-hosts the Marketing Companion podcast, and is the author of multiple books, including Known, The Tao of Twitter, and The Content Code. His most recent book is Marketing Rebellion: The Most Human Company Wins. What Is Wrong With Marketing Today? To begin, Mark says he never plans to write a book. He writes a book when he sees a problem he just doesn’t understand. Mark realized this was the same thing he’d been hearing everywhere, and because these were the people with the most money and resources, he wondered what was going on. His original hypothesis was that companies and marketers weren’t keeping up with technology. But when he dove in and started doing the research, he found that technology was only part of the problem. Most of the problem was that while we were busy doing social media and creating content, our consumers have moved away from us. What consumers want, how they discover products, how they interact, how they share, and what they expect from companies have changed. Mark reflects that in the past, businesses were in control of marketing. The only way customers would learn about products was through the ads run on a limited number of networks and radio stations and in local newspapers. Today, the control has moved to the customers, and they’re the marketing department. In fact, as far back as 2009, Mark says, McKinsey research on the customer decision journey showed that two-thirds of marketing was occurring without marketers. It happened not through advertising, press releases, or social media campaigns, but in how consumers connected to each other through social media, reviews, user-generated content, even influencers. Now, a decade later, McKinsey’s continued study of 125,000 customer journeys shows the sales funnel and customer loyalty are basically gone, and that 87% of our customers are shopping around. Trust in brands and advertising has declined for 10 years in a row. It’s at an all-time low. Now consumers trust each other—their friends, neighbors, and even influencers. For marketers who have spent years cultivating customer loyalty, reaching that two-thirds of customers requires an entirely new way of thinking. Mark’s book is about helping marketers reach that group of customers who aren’t as influenced by marketing. Listen to the show to hear Mark’s thoughts on storytelling. How Did Marketers Miss This Shift? Two things distracted marketers from noticing the whole world was changing right in front of us. The first thing is technology. Marketers have become intoxicated by technology—not because it’s bad but because it’s so impressive, easy, and cheap. When social media was first used as a mainstream marketing opportunity, marketers were focused on the conversations and the audience. Now, companies use technology as a shortcut to creating conversations and building audiences, and that behavior has taken the “social” out of “social media.” It’s become just another place to repurpose ads or weaponize influencers. The second thing is that change is difficult. Mark works with different organizations, and he’s noted that for the most part, finance and accounting don’t change. To be successful in marketing, however, you’ve got to be a change junkie. Change is the only way to stay relevant, but that doesn’t happen in a lot of companies. They create a content strategy or social strategy based on something they read in 2014 that probably doesn’t work anymore. Mike notes that he’s been tracking this industry for 11 years via the annual Social Media Marketing Industry Report, and that the biggest problem marketers say they face today is the same as it was in 2008: measuring ROI. Mark says the ROI struggle is going to become even more difficult because relationships, connections, and advocacy are hard to measure. Giant Spoon was just named Breakout Agency of the Year by AdWeek, and their motto is, “We’re an advertising agency that aspires to never make an ad.” Rather than creating ads, they’re trying to create real relationships with experiences that connect to values, fun, and meaning. One of the founders of Giant Spoon said, “You can either keep pace with the speed of culture or you can measure it. You probably can’t do both.” Mark loves that quote because there’s a lot of wisdom behind it. He also hates that quote because he’s a measurement junkie. That said, Mark understands the implication for marketers. We can sit in our silos and push out social media content because we can measure likes, or we can look at how the world has changed and come up with a new plan and a new mindset. Making that change will involve some risk and take some courage but marketers really don’t have a choice. Why Did Mark Choose the Title Marketing Rebellion? First, we’re seeing a consumer rebellion against marketers. People are blocking marketers out and avoiding us in every way they can, including subscribing to ad-free platforms. Second, people are developing algorithms to stop marketing messages from getting through because they don’t want to opt into our ads. And we’re developing algorithms to beat their algorithms so we can send them more ads. Try as we might, though, we can’t buy our way into reaching that two-thirds of customers. Whether your company is B2B or B2C, you have to be invited and earn your way in. Once you accept the fact that your customers aren’t accepting your marketing, it’s time to consider what marketing is supposed to be and what your customers want. So what is marketing? In a college textbook, Dr. Phillip Kotler described marketing as the combination of psychology, sociology, and anthropology. So marketing is all things human. It’s not about our story or our why. We need to focus on the customer’s why. Listen to the show to hear the story behind the picture on the first page of Marketing Rebellion. People want to be respected. People want to protect their self-interests. People want to find meaning in their lives. The longest health study done in the history of the human race has been focused on the same group of people for more than 80 years, and now they’re studying the children and grandchildren of that group. The Harvard Study of Adult Development looks at every aspect of income, education, health, lifestyle, diet, and more to discover what factors into a long and happy life. The study concluded that what really matters to a person’s well-being is stable, consistent relationships. Now we have a loneliness crisis in our society. Incidents of depression, isolation, and marked loneliness are up by double digits over what they were 10 years ago. The issue is so profound that the UK government has created a Ministry of Loneliness to fight isolation and depression. All of this means that customers are crying out to belong, and we as marketers can help people do that. The companies that are successful with this approach are placing branding and selling secondary to serving and rewarding the community. And that eventually builds loyalty to the brand. Mark notes that it almost doesn’t make sense. The less you talk about yourself and the less you “sell,” the more you actually sell. That’s the hallmark of this belonging mindset of marketing. You can also look at branded hats or shirts people wear. Yeti Coolers, for instance, has all kinds of people wearing branded hats and shirts because they’ve built an amazing community based on love of the outdoors. Patagonia has built a similar community. Individuals can create community as well. A case in point is Pat Flynn. Mark says that Pat’s closing keynote at Social Media Marketing World last year blew him away. When Mark saw the long line of people waiting to speak to Pat after his keynote, he knew Pat had something magical going on. A stat Mark saw seems to support Pat’s position. Half of Millennials say they feel rewarded when their friends recognize them on social media, and more than 60% feel rewarded when their favorite brand recognizes them on social media. The takeaway from this data is that Millennials feel it’s more important to be recognized by a company or brand than by their friends. That’s a signal worth noting. Research published in Harvard Business Review found that of all activities companies are engaging in to create loyalty—things such as content, engagement, impressions, connections—only a sense of shared meaning had a long-term impact on loyalty. Which means if customers find a company that stands up for what they believe in, they’ll be loyal to that company. They’ll bring others to that company and they’re willing to pay as much as 25% more for the company’s products. Mark wrote an entire chapter on this type of values-based marketing. 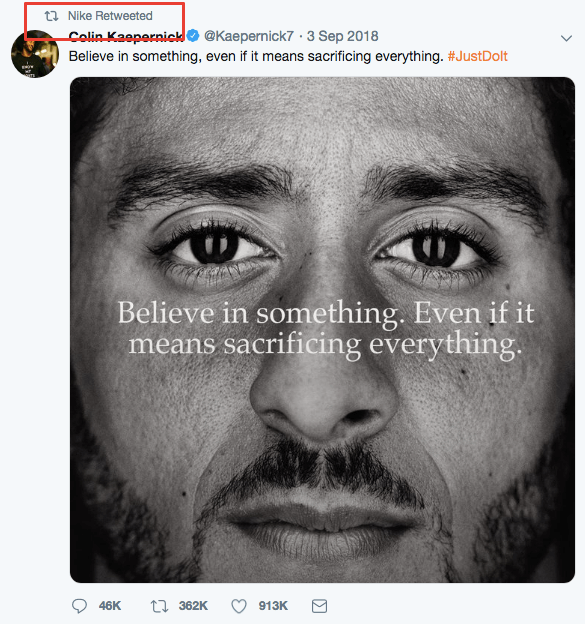 As he was writing, the whole thing with Nike and controversial NFL quarterback Colin Kaepernick was exploding. It was early fall 2018, and Nike announced a new campaign and a new product line based on collaboration with Kaepernick. The campaign was polarizing and Nike’s stock valuation dropped $4 billion in one day. But Mark was looking at the same research Nike had to be looking at and he could see exactly what they were doing. Urban males younger than age 30 who have the money to buy $200 sneakers make up 90% of Nike’s customers. Regardless of whether they watch football, these men also have a liberal view and stand by Kaepernick. Nike ran the numbers and knew there was going to be a backlash, but they also knew they had to take a stand and that it had to be bold. Seven days after the initial $4 billion loss, Nike was $3 billion higher than where it started. American Eagle, a big jean retailer, has also been successful with values-based marketing. Their entire marketing effort is based on anti-gun legislation, civil rights, gay rights, and empowering gay youth. Mark points out that taking a stand doesn’t have to be polarizing. Companies can take a stand for something that’s unifying or uplifting. Dove, Heineken, and Coca-Cola have all executed successful values-based initiatives. While Mark appreciates this type of marketing, he cautions people against falling for the “every company has to take a stand—people want to know where you stand on the politics” line. It’s simply not true, he says. Values-based marketing is a perilous path. It takes a lot of strategy and research. It has to be right, and once you make a decision, there’s no going back. Try to go backward and you’re going to become a laughingstock—or a meme. Listen to the show to learn how Millennials and Baby Boomers view companies that take a stand with values-based marketing. How Can Companies Move Toward Human-Centric Marketing? Today, especially on social media, people have self-selected into like-minded islands. There’s a Social Media Examiner island of people who love Social Media Examiner and they hang out together. There’s a like-minded island of outdoors people. There’s a like-minded island of wine drinkers. And businesses are thinking, “Ooh, I’d love to get on that island. If I just show them enough ads, I’ll get there.” This doesn’t work anymore. You’ve got to be invited to the island by a current inhabitant. How do you get invited? Treat the people you want to connect with like friends and respect them. Add value. Show them new opportunities in the world. Help them live a better life. Then you’ll be invited to the island. These are simply core principles and we’re losing them to our obsession with technology and automation. We’ve got to get back to our hearts and what Dr. Kotler taught Mark 30 years ago: psychology, sociology, anthropology. Marketing is all things human. Mark knows this change isn’t going to be for everybody because what really drives the change in a company is the culture, and the culture is driven from the top. There’s no such thing as a grassroots organizational change. There are a lot of leaders out there who don’t want to change. They want to hold onto marketing they can measure and put in a dashboard. They don’t care where the customers are. They just want to check the box for their monthly staff meeting. Making this change will take courage and vision. Not everybody has that. But if you’re going to survive and thrive in this environment where customers are in control of your marketing, you’ve got to make the shift. You don’t have a choice. You’ve got to roll up your sleeves and get out where the work is really being done and people are really living. You’ve got to meet them and see them. That’s when the magic really starts to happen. Listen to the show to hear how Mike has implemented human-centric marketing with Social Media Examiner and Social Media Marketing World. 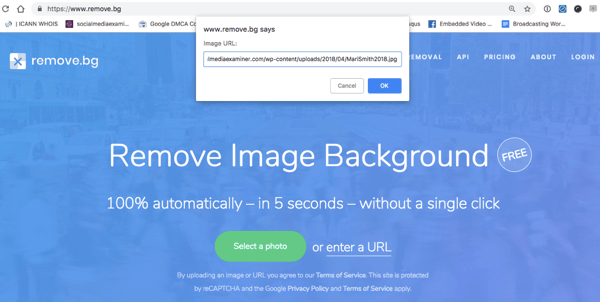 remove.bg is an amazing web-based tool that uses artificial intelligence to automatically remove the background from any image in literally 5 seconds. There are two ways to work with an image. The first is to select and upload a photo from the image library on your computer or mobile device. The second is to enter the URL for an image. When you drop in the URL of the image, you’ll see a new window with the original image on the left, and on the right is a version of the image with the subject of the image on a transparent background. Once the image is processed, you can download that image and then start working with it in any other program you choose. Say you have a picture you want to use on a website but the background just doesn’t look right with that color. 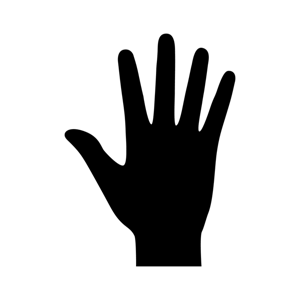 Use remove.bg to generate a transparent PNG that you can put over any colored background you want. Boom, you download the final image and it’s done. Listen to the show to learn more and let us know how remove.bg works for you. 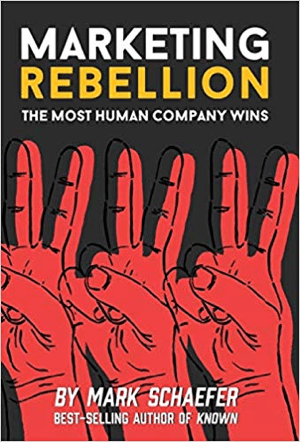 Find Marketing Rebellion: The Most Human Company Wins on Amazon, and browse Mark’s other books. Learn more about Mark Schaefer’s work on businessesgrow.com and his blog. Explore the original McKinsey customer journey decision survey, and the follow up study. Learn more about Dr. Philip Kotler. Review the Harvard Study of Adult Development. 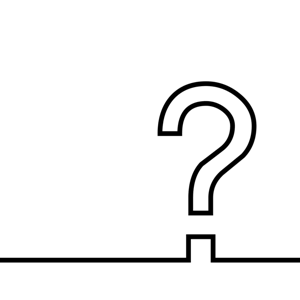 Read Three Myths About What Customers Want on Harvard Business Review. Check out remove.bg for quick image background removal. What do you think? What are your thoughts on shifting to human-centric marketing? Please share your comments below.